The hill called Pa Gros rises from the fine sand with a height of 60 meters and guarantees an incomparable sea view. At the end of the beach there is an imposing defensive tower erected by the Englishmen in the 18th century. 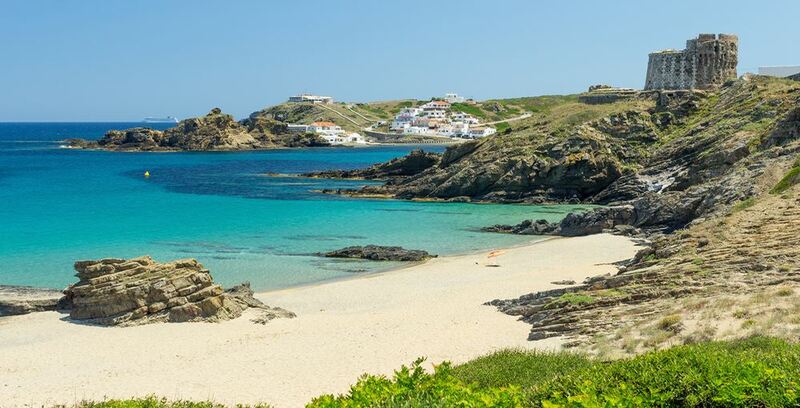 This beach is of particular historical relevance as the French military landed on this shoreline in order to conquer Menorca.